I spent 64 days in Bolivia, far longer than I’d anticipated and a number sure to be unmatched by any other country on my trip. Nearly half of my time was spent in the Yungas and the rest was split between the area around La Paz and the southwest of the country. My average daily budget was $26, balancing splurges like the Mashaquipe Lodge with super cheap, nearly free days in Quime and Suri. 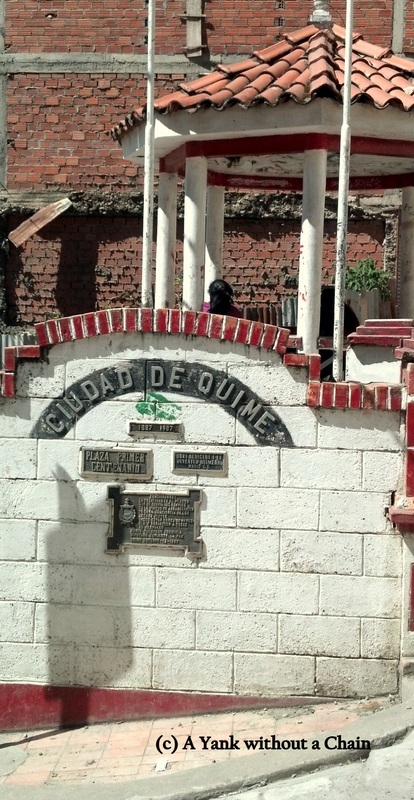 After a month in the off-the-beaten-track Yungas, I was excited to head to the small city of Sucre, which is more developed and tourist friendly. I immediately booked a day hike to the Maragua crater, which in fact is not a meteorite crater but rather formed by erosion. The day trip included a hike down an Incan trail and then another short hike to a waterfall and cave. 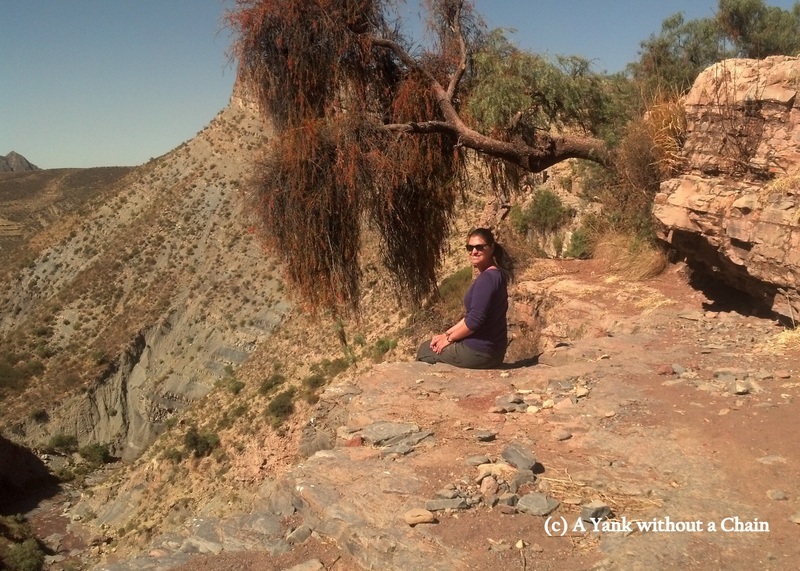 Bolivians are generally a very tranquil, happy, satisfied group of people – except when they’re not. And when they’re not, their method of expressing their discontent is usually to block major road arteries until their message is heard. When this happens, travel between major cities can become a hassle and a headache, something that I experienced twice during my two months in the country. 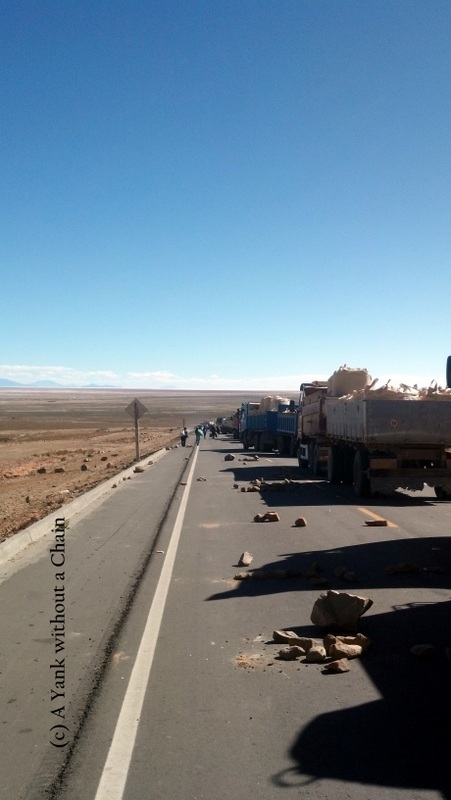 The first blockade I experienced was heading into Oruro from the north. There were two protest groups: teachers and miners. I got into a shared taxi at Conani and drove about 45 minutes to the town of Caracollo, where I was told to get out and walk. I wasn’t told how far to walk, but I saw everyone else walking and I just followed. It actually turned out that the people I saw walking weren’t other travelers, but the protesters themselves, and I accidentally found myself within a group of teachers protesting for higher wages. As this is a cause I can get behind, I wasn’t too distressed. What was meant to be a 3 or 4 day stop in Quime turned into nearly a month in the small town, plus a week of checking out a couple of other tiny Yungas towns. 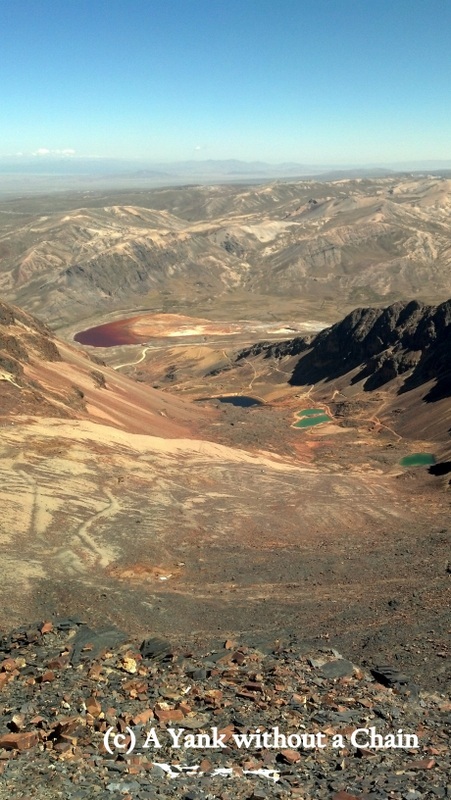 I found out about the tranquil stopover between La Paz and cities further south from the Wikitravel site, which is the work of Alaskan expat Marco, who runs Hostal Colibri. The hostal has great private rooms (some with fireplaces) and a full kitchen, which makes it a perfect spot to relax after several weeks or months on the road. On the recommendation of a British couple I flew back to La Paz from Rurrenabaque with, I booked a day tour to Chacaltaya to see the world’s highest ski lift. Unfortunately, there’s been no skiing at Chacaltaya for the past five years since the glacier melted, but the views from 5,400 meters is still impressive. 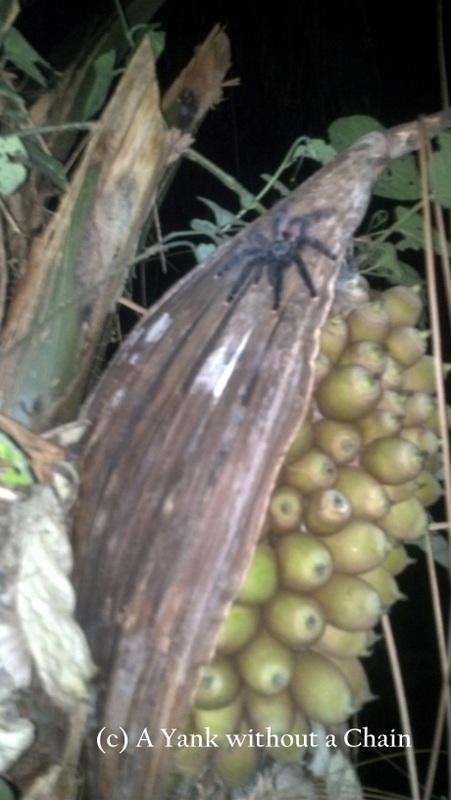 A tarantula that we saw on a night hike, sitting on some motacu. 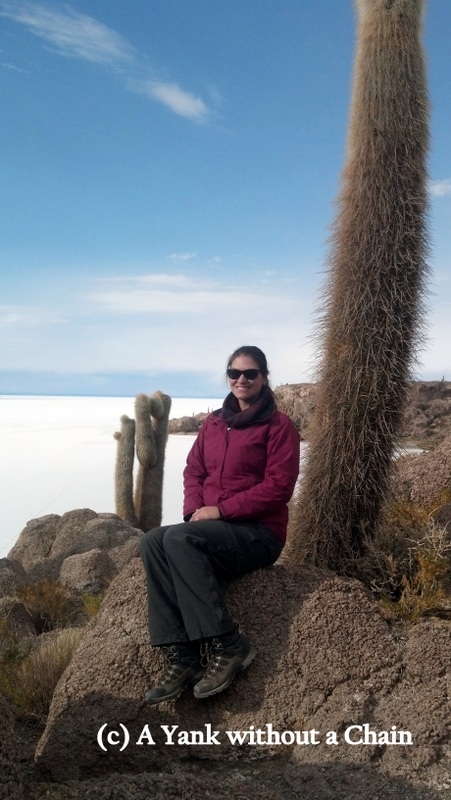 I haven’t been able to update the blog for the past several weeks due to the lack of reliable Internet in Bolivia, or rather the expense of reliable Internet when it is available. But I’m finally on my way to Argentina and I’m excited to update everyone about my time in Bolivia! In late April I spent four days at the Mashaquipe Ecolodge in Madidi National Park, just outside Rurrenabaque. While it was nearly three times the cost of some of the budget jungle tours, I felt that the expense was justified mainly due to the ethics and responsibility of the tour company, but also the small group sizes (just four per guide!) and the better quality of service all around.